How to Make Money on YouTube a biggest and 1000 times asked question to each and every YouTuber and online worker. Here I will give the exact answer and make you know how you can earn serious money from YouTube videos without having millions of subscribers. You know how people are earning money on YouTube? There's a video called "Charlie Bit My Finger" its a 55 second video and making more than a million dollars per month to its uploader. That's how you can make millions out of your YouTube videos. So, for helping you do the same thing which other top YouTubers have done to start making money on YouTube and work from home, we have put together a step-by-step YouTube guide and we are 100% sure that you will pocket some dollars after reading it carefully. A great example is: PewDiePie, as reports and some blog posts claims they are able to earn over $4 million per year just from their YouTube channel. However, there are YouTubers like Livie Rose, a Beauty blogger from Brighton and she say that her payments are not confirmed. She is receiving hundreds of dollars in a month and she don't know that the next month's payment will be the same, that can be lower then $100. This is really friends, there's not trick to earn money on YouTube or create videos that can keep on getting views on daily basis. As whenever people will watch your videos they will want more of them and don't watch already published ideas over and over again. This is why we recommend you to upload one fresh video on daily basis to keep your subscribers and viewers engaged with your channel and earn you more dollars. How much can you realistically expect to make on YouTube? well that's not easy to answer. Lets take an example: If you have enabled Google Adsense ads on your videos and getting 10K views on daily basis. Your eCPM rates are $1 per 1K views, you will earn $10 per day. However, CPM rates will vary on your video category and topic niche and also from where your audience is watching that videos. You will earn from ad-clicks too and that is also not predictable thing. 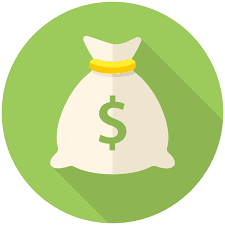 Everybody wants to earn money online and for that every internet user is in quick and hurry. They want to earn quickly and spend that earned money so that they can enjoy the life. Well, that's not easy as it seems to be. Google (who own the biggest video sharing network YouTube) is making YouTube the best and #1 Video sharing platform where people can get to watch quality videos. So that publishers also have to follow their strict policies and must create engaging and quality videos. So the question is how you can create that great videos? Before I answer this, read how you can get started on YouTube with its Google Adsense Partner Program. Yes it is, and YouTubers from around the globe are earning thousands of dollars by doing the same easy to do thing. However, its not that easy. As Google is consistently making it hard to make money on YouTube. But, if you are making your own videos and not copying other' work then chances are you will be in safe side. As Google hates copied content even in videos. There are some ways to make money without investment and you tube is one of them. This is why working on YouTube is not a waste of time, you can make more money with each of your upload or showing the power of your channel in subscribers numbers and watch time. 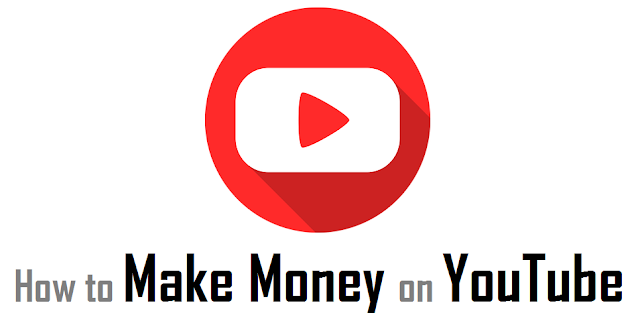 You get unlimited ways to monetize your videos and make more money. Just think about how much you will earn when you are already showing ads and earning with YouTube's CPM ads via Adsense and have more opportunities on same channel? This is the best way and an alternative to Adsense for YouTube. You can start direct promotions on your channel after securing at-least 1K subscribers and a good watch time. Companies and marketers will contact you via your provided contact details in video description and channel links and ask you for the price. You can include their paragraph in your videos can charge them an amount or add something about them in your next upload and charge them for promoting (featuring) their product or service. If you are looking for best ways to earn money from YouTube then this is what many big YouTube stars and celebrities are using to generate extra money on YouTube. All you have to do is just create some review based videos or recommend your favorite products or the products you like and talk about the upcoming products. Then add a affiliated link from where your viewers can purchase that particular product and after every successful sell you will earn a commission. You know Netflix? they charge their viewers and provide high quality videos (dramas, movies and more). You can create same thing at your YouTube channel. It will give you the options to put a price tag on your informative or high quality videos for which you are sure that people will pay to watch. If you manage to sell some videos this way, you will get to keep everything dollar you make for selling the videos. YouTube is a video sharing website and not just for the content creators and YouTubers who are here to make money and nothing else. You can earn money by not showing ads or selling videos and even you don't have to promote products. When you are uploading quality videos and providing great information then you can crowdsource and raise funds for your videos. You can ask people to give you donations and they will do when you provide them with great information with your videos. YouTube have tools for this. This is something professionals and music producers can understand very well. Most of the musicians and singers are making money out of this method. If you are a YouTuber and you have a video which gone viral and generating thousands of views then you can earn money from YouTube by licensing the content to other media outlets. They will use your content at their own media campaigns and give you your desired amount of money. If you are just starting with YouTube video creation then don't forget to know the essentials of creating an outstanding YouTube which will look professional and give respect you your channel. However, it all depends on your own plans and type of video content. Like if you are planning to capture a fun moment or create a vlog it will cost you lower then making a short film. This is all you need to record vlogs, how to videos and give reviews about something or make videos on your opinions. On the other hands you will need more equipment when you are going to record a short film or do out-door shootings. This will cost you more. So its best to create videos from your comfort zone and after getting paid you can start creating big budget videos. How do I make videos for YouTube that can increase my authority and have more views? this is something every new YouTuber is asking for. Well, as you are going to monetize your videos with ads and the advertisers are looking for the highly converting topics and videos with great engagement so that they can get maximum ROI (return on investment). Before uploading your first video, go through the policy pages of YouTube where they are suggesting you guidelines for content types and follow them. So that you will be a trusted publisher and their security team will not hurt you. So, these are the most easiest and permanently great ways to make money on YouTube and keep on earning for long run. If you are still thinking about how to make money online then checkout other articles or simply comment your doubts right below in the comments. 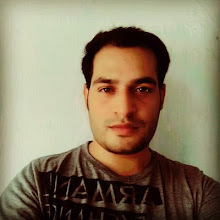 I will answer your questions and clear all your doubts regarding earning money online. Thanks for the read guys.